The United States have fallen. A new power has risen in North America, but now, a terrifying virus is spreading across the countryside. Once infected, people change, mutating into superhuman creatures known as the Chead. Wherever they walk, death follows. Desperate to defend its citizens, the government launches the Praegressus Project - an experimental program to enhance the human race. Elizabeth Flores was just a normal girl - until the Chead slaughtered her parents and made her a fugitive. With winter approaching she seeks refuge in the city of Sacramento, but the hunters are waiting. Abducted off the streets, she's spirited away to a facility deep in the Californian mountains. There, Liz wakes in an iron cage - and she's not alone. In the opposite cage, Christopher Sanders stands wrongfully accused of treason. Along with Liz, he has just become a volunteer in the Praegressus Project. Stripped of their rights, they will soon learn there is little separating humanity from the monsters they seek to destroy. The two must work together if they want to survive, but even then, their chances are slim. Of course, only the lucky get to die. Blending the insane experiments of Stranger Things and the haunting dystopia of The Hunger Games, fans will love this thrilling new series. Discover a future where the powerful rule without mercy, and nothing is ever as it seems. With hints of YA Dystopia, Genetic Scifi, Urban Fantasy and just a touch of Romance, the Praegressus Project truly has something for everyone. 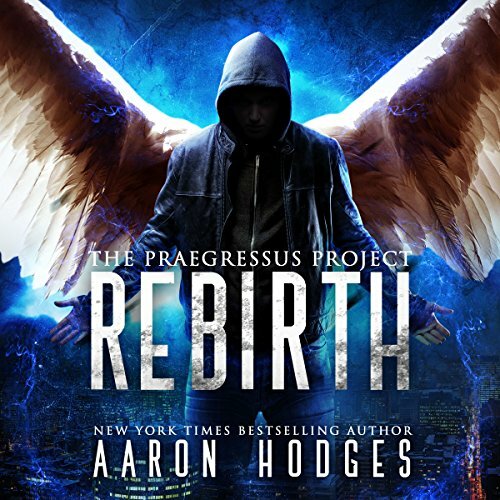 Enter a new world with New York Times Bestselling Author Aaron Hodges.